Hi. I'm Louise, the founder and owner of The Croft House. I established The Croft House collection of high quality Scottish knitwear, accessories and gifts in the Autumn of 2012. It is exclusively available to purchase directly through our website and occasional pop-up shops. We choose not to wholesale our designs meaning without any "middle men" you, the customer get great quality at a great price! From a base in rural Aberdeenshire in the North East of Scotland, I design the range to reflect my love of luxurious, natural fibres and fabrics steeped in the heritage and colours of Scotland. 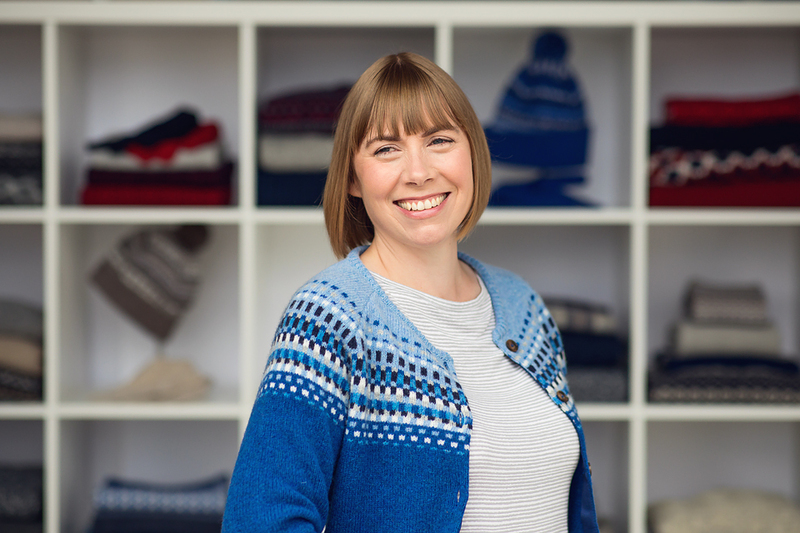 I particularly enjoy using fair isle patterns in my contemporary knitwear designs. Look out for "designers notes" to see what has inspired the pattern or colours of each piece on the product pages. The Croft House knitwear is to be enjoyed season after season. A lot of love goes into every garment we produce and everything we do is geared towards sustainability. Fantastic quality products – we use natural, locally sourced materials. Our cashmere is milled in Scotland and our wool is spun in Scotland or elsewhere in the UK. High manufacturing ethics - The Croft House branded products are MADE IN SCOTLAND. Low environmental impact– with sourcing materials and manufacturing locally we minimise our carbon footprint. We use "zero waste" manufacturing techniques where we can. We use only recycled, recyclable or biodegradable packaging in order to deliver your items. Good causes – every time you make a purchase by credit or debit card at thecrofthouse.com you will actively contribute to charity. Using our credit/debit card payment system contributes to the charity "Epilepsy Scotland". I talk with many customers by email or on the phone and am always keen to hear your views. Drop me a line via our contact page if you have any suggestions about our range and service, on how we can improve or even just to tell us that we are getting it right! If you are looking for our registered company address, number and VAT details, they can be found at the end of our Terms and Conditions page.